In my new novel, Blue Jeans and Coffee Beans, the main character Maris Carrington is a denim designer. 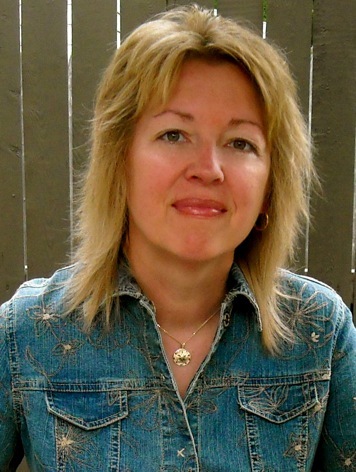 Her denim specialty connects her to the summers she spent at a close-knit beach community while growing up, to memories of her and her mother walking the sandy shoreline, to the breeziness of the whole beach essence that has long been a part of her life. So today, let’s take a fashion quiz to see how blue jeans connect to your life. I think that our denim preferences say a lot about our personalities, and I hope you’ll give it a try. Which jean style represents the true-blue you? Feel free to stitch another style into the mix, too. Bootcut ~ You’re relaxed, easy-going, a bit bohemian. Flares ~ You’re a Free-spirit, love live music and the arts. Straight-leg ~ You’re classic and dependable, a good friend. Skinny ~ Fun and upbeat, you’re the life of the beach party. Boyfriend Jeans ~ Artistic, comfortable, confident … You enjoy lazy reading days. Trouser Jeans ~ You’re professional and polished, a go-getter. Cropped Jeans ~ Cheerful, sunny, calming … Walking along a beach is your perfect day. Thanks so much for visiting today, Joanne. I wear bootcut the most but choose trouser jeans when I want to dress up a bit and can still get away with wearing denim. I also have a pair of white denim cropped jeans that I love to wear in the summer months. 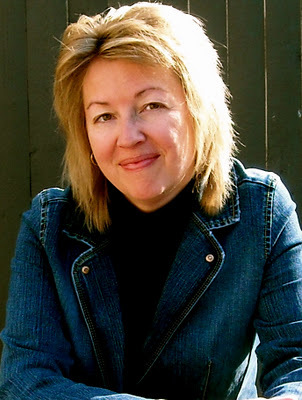 Joanne DeMaio is the award-winning author of Blue Jeans and Coffee Beans and the bestselling novel Whole Latte Life, which won First Place in the 2012 Discovery Awards and was named a Kirkus Reviews Critics’ Pick. It has also been featured in USA Today, The Huffington Post and other outlets. 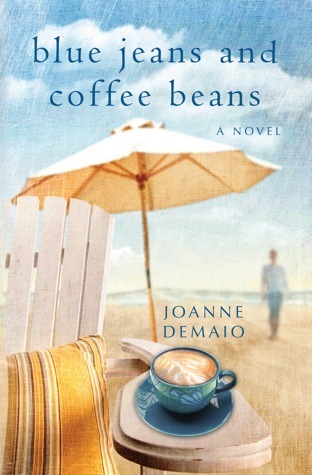 Blue Jeans and Coffee Beans is her second novel. Both books explore the intricate relationships between mothers and daughters, sisters and friends. 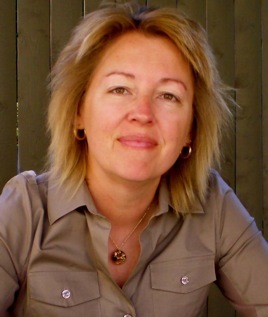 In addition, her music essays have appeared in literary journals, celebrating her passion for song. Joanne lives with her family in Connecticut, where the coffee and stories are always brewing. She is currently at work on her next book. After years of pursuing a denim design career, Maris Carrington never imagined trading her Chicago studio for a New England shingled cottage. But a forgotten home movie tucked inside a dusty attic box leads to an unexpected summer . . . One of uncovering family secrets while settling her father’s estate, one of inheriting a forlorn German Shepherd, one of reconnecting with old friends on a weathered boardwalk, beneath starlit skies on a beach nestled in a crook of the Connecticut coast. Her design career had become a shell, curving around her like the intricate whorls of a conch, shielding her until now. Until fried clam dinners and carousel rides beckon a lost love. But can Maris ever really go back? Can these beach friends ever be who they were to each other all those summers ago? Now one of her circle is dead; another unemployed and struggling in a tenuous marriage; another regretting a fateful decision; while one is missing a mother, ever seeking a connection she longs for. To the backdrop of seaside cottages and a boarded up beach hangout, to the soundtrack of whispering lagoon grasses and a vintage jukebox, Blue Jeans and Coffee Beans asks if we can really design our own lives, or if our fate lies somewhere in the stars. You can buy Blue Jeans and Coffee Beans here. 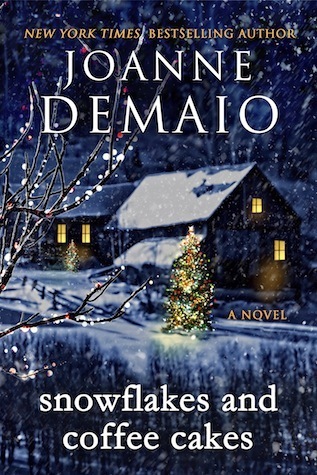 Today it’s my pleasure to welcome author Joanne DeMaio to the blog. Joanne’s novel WHOLE LATTE LIFE published last week. Thanks for visiting today, Joanne. I’m a big fan of books and coffee! I look forward to reading Whole Latte Life. Coffee has such comforting affiliations, I think because it’s an integral part of our days. We need our morning coffee, grab a coffee-to-go, linger with a dessert coffee, meet over coffee. And that one’s the clincher. Meeting over coffee. In fact, some of the best talks happen over a fresh cup of java. Think of all the latte’s you’ve enjoyed, with family or a friend. How much life you’ve mulled over with someone near and dear in a local coffee shop, or in a neighbor’s country kitchen with a fresh-brewed pot, or in a restaurant’s cozy nook. The same way we mull over life with a coffee, don’t we also consider life in the books we read? In the genres we favor? I know I do. My novel WHOLE LATTE LIFE is a blend of the choices we make as mothers and daughters and friends, and how those choices sometimes haunt us. It’s filled with topics we’d talk over with a friend, over a steaming cup of java. Coffee and books. I’m a fan of both. They fit together like, well, like a cup and saucer. Even the flavors of java correlate with our reading preferences. Give it a try … If you had to choose, what coffee flavor would you give your reading preference? I’ve brewed up a few literary-coffee choices … You can choose one, or add your own unique blend to the menu … Let’s get percolating! Do you read Regular, With Cream ~ Literary with a Commercial bent? 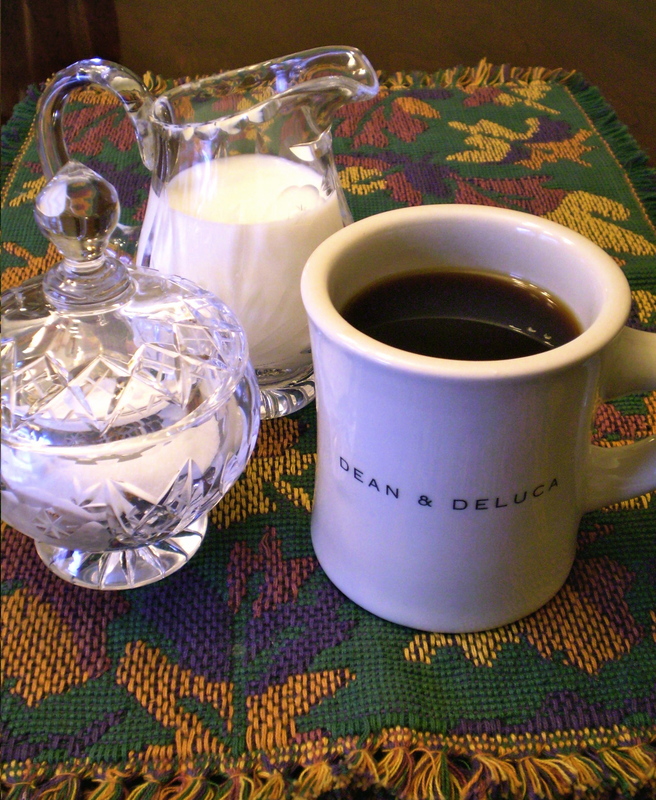 Or is your preference Cream with Sugar ~ Very Commercial? Is your favorite genre Black Coffee ~ Strictly Literary? 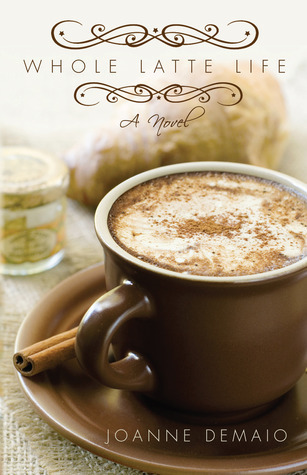 How about Café au Lait ~ Historical, set in France? There’s always a Coffee Milkshake ~ Blending the Genres? Or maybe Monk’s Cappuccino ~ Inspirational/Christian? Does Layered Caffé Latte describe it ~ A life layered in Memoir? Science Fiction, YA, Romance, whatever the genre ~ What flavor do you enjoy reading? 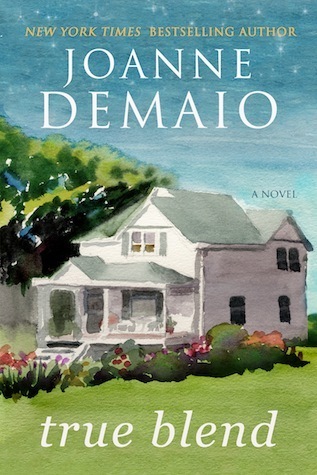 You can read more about Joanne DeMaio at her website. More info about Whole Latte Life can be found at WholeLatteLife.com.